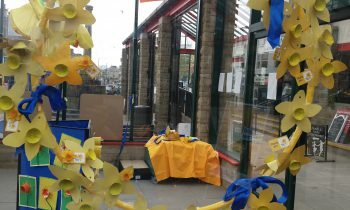 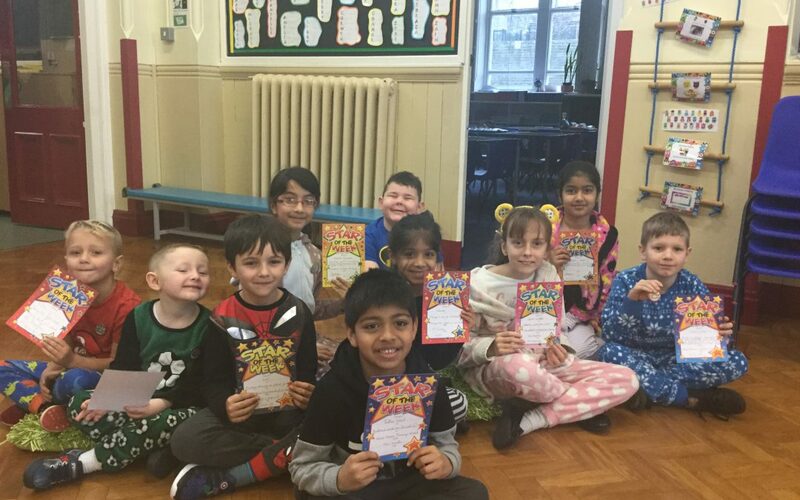 Today we took part in the national Children In Need fundraiser. 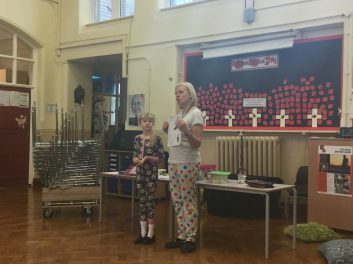 Coming dressed in our pyjamas, dressing gowns and slippers we all looked very cosy in assembly. 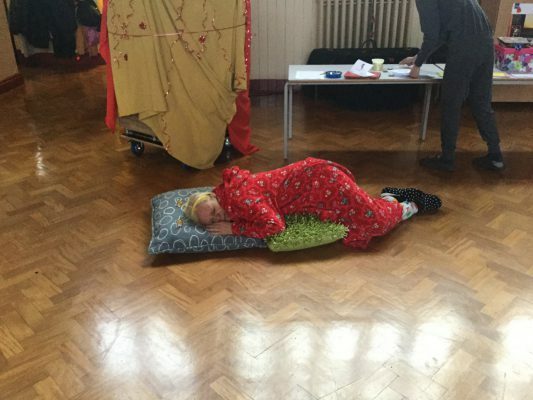 In fact I was so cosy I had a little nap waiting for the children to come into the hall. 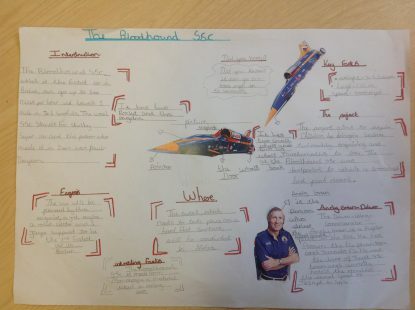 Happily dreaming away Mr Filder woke me up, which gave me a bit of a shock! 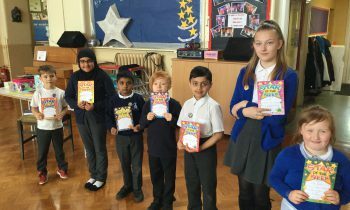 This week our STARS received their certificates for clear writing, 100% effort, amazing fraction work, interesting RE work, setting a good example and being a good friend. 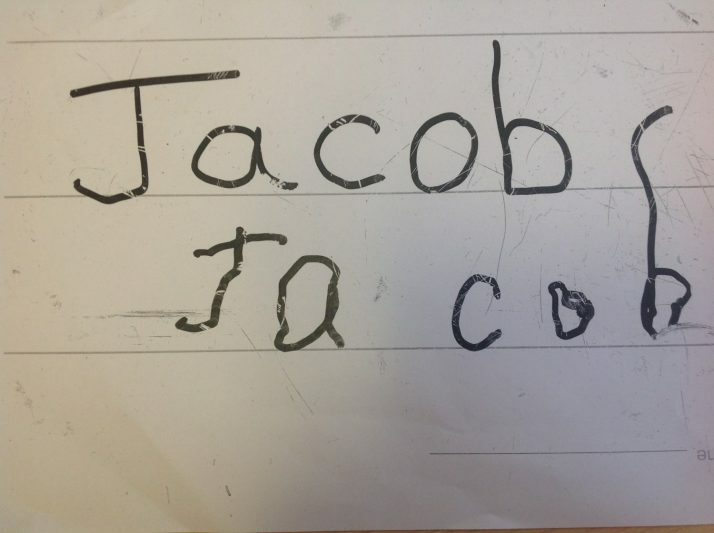 Our Friday Stars are: Talha, Sophie, Lucan, Nameera, Fatima, Leo, Sarah, Leo, Cain and Jacob. 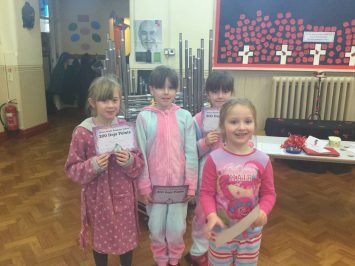 We had lots of children who received their 100 Dojo points and our first 200 Dojo points: Maisie, Scarlet, Megan and Skylar. 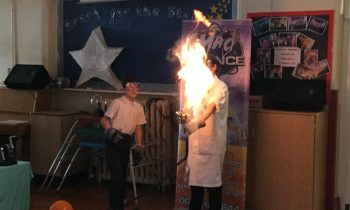 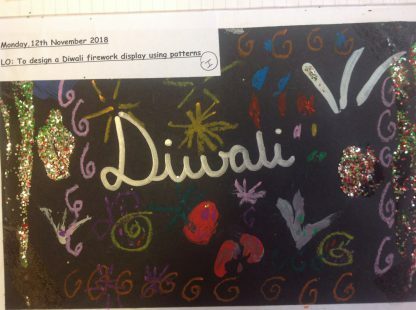 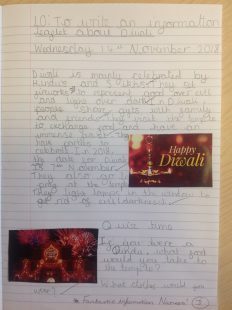 We also had some great WOW work – please see below. 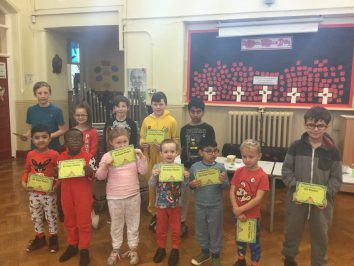 Certificates were also given to KS2 children who participated in the athletics competition this week. 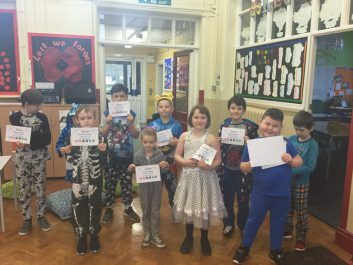 Well done to Leo who came first in the balance out of all the schools and Kenzie who came first in the speed jump. 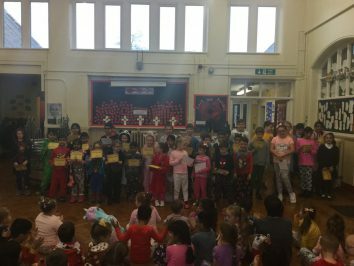 Congratulations to ALL the children this week. 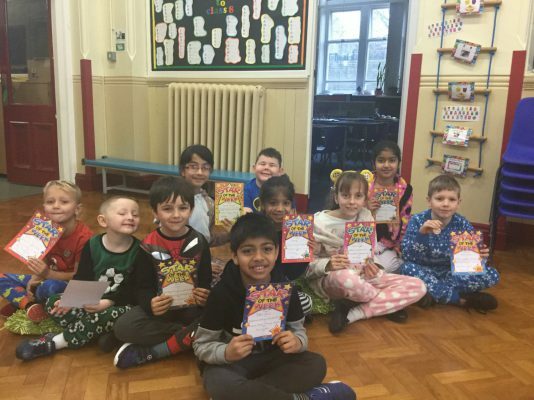 And a BIG well done for raising over £200 for Children in Need.